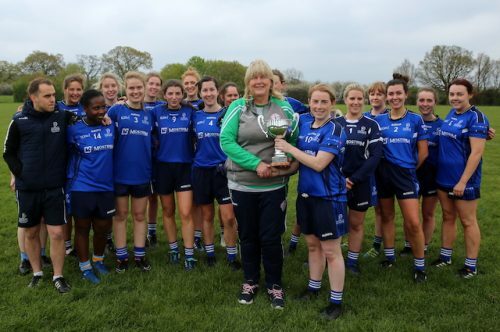 Dulwich Harps held off St Anthonys in a tight Tom O’Connor Cup final at Greenford, and then dedicated the win to teammate Siobhan McCann. 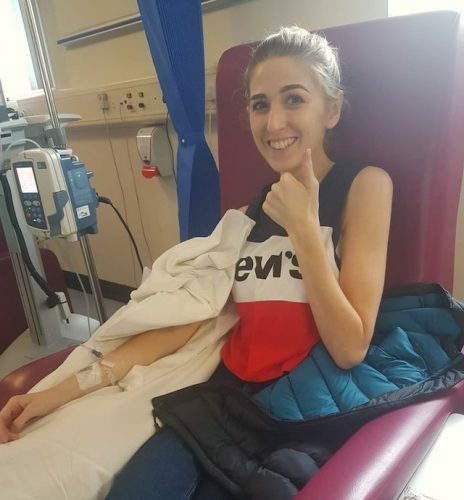 Siobhan was diagnosed with cancer in April 2018 and is currently undergoing treatment, but she wasn’t forgotten by her Dulwich teammates on Saturday in the midst of their celebrations. “This one’s for Siobhan” said captain Maeve Wylie after accepting the cup from London Ladies chairperson Lucia Butler. Five unanswered Dulwich points in the space of just four first half minutes ultimately proved the difference in this absorbing contest, as Harps overturned a two-point deficit to lead by 0-5 to 0-2. We’d played only 15 minutes but it always looked like being a significant swing, with Anthonys never able to get closer than to within a point. 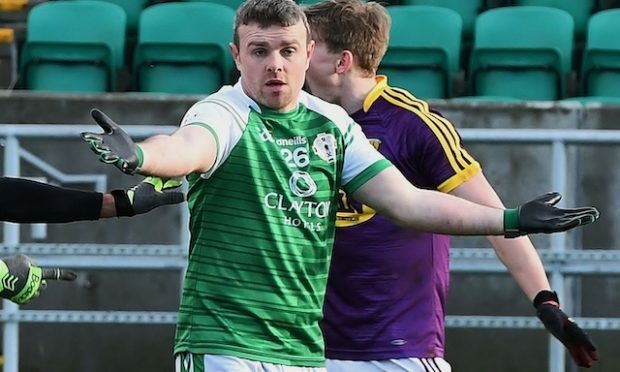 For St Anthonys, it was a further disappointment after defeat to Thomas McCurtains in last year’s Tom O’Connor Cup final. It might have been very different for the Reading club had Isabel Delaney’s shot rebounded into the net off the inside of the post, and not back out into play. A slice of good fortune for Dulwich. But Anthonys had started the better, attacking down the slope, and Edel McManus’ free opened the scoring. McManus doubled the lead after Anette Thomas’ surging run. After a slow start, Dulwich were on the board when Diane O’Brien and Ciara Doyle combined, and Wylie put the ball over the bar. It was a lovely score and the beginning of a real purple patch for Dulwich. 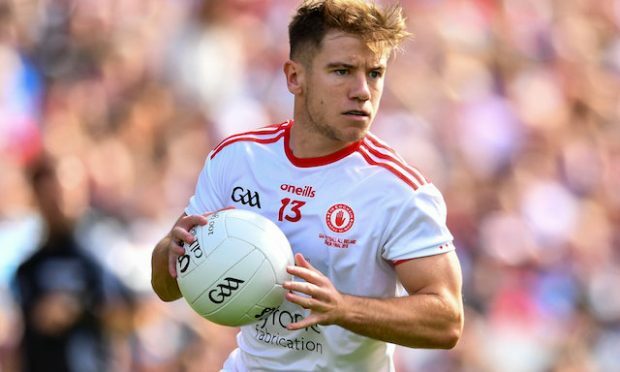 Wylie levelled the scores and with Anthonys unable to get out of their own half, points followed from Doyle, Eimear Dillon and O’Brien (free). Suddenly Dulwich led by three. 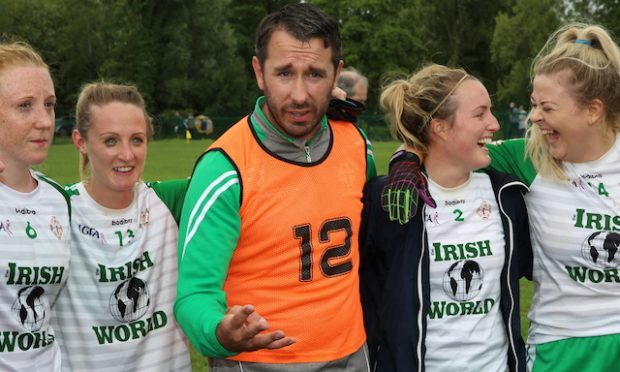 Having cleared their lines, and their heads, Anthonys looked to close the gap, and Niamh Brandon’s skidding shot was turned away by the alert Tara Kilcoyne. When Katie O’Brien and McManus pointed, the Reading side were back to within one-point. It was Dulwich’s turn to then curse their luck as Diane O’Brien’s shot hit the post, with Leah Wilson beaten. Dulwich lead by 0-5 to 0-4 after a non-stop and thoroughly entertaining first half. Just as Isabel Delaney had come within a whisker of goaling at the start of the first half, Wylie’s shot flashed past the post just seconds after the restart. Harps were then dealt a blow when O’Brien was sinbinned, but Anthonys were unable to take advantage. Indeed, Harps edged the sinbinning period by 0-2 to 0-1 – Shannon Yelbasi and Wylie on target for Dulwich, and Delaney for Anthonys. With the onus on the Reading club, they pushed forwards but couldn’t turn their territorial dominance into points. They would rue a mounting wide tally in the second half. Delaney made it one-point game with six minutes to go with a sweet strike, only for Doyle to restore Dulwich’s two-point cushion. Sarah Flynn had a goal chance with her first touch after coming on, but it was gone in a flash. McManus’ free, however, left the minimum between the sides once again and set up a tense finish. Delaney saw her injury-time shot drift wide and Helen McGurrin came up with a crucial challenge as Sarah Cowan was about to pull the trigger. With it went Anthonys’ last chance, as Dulwich held on. 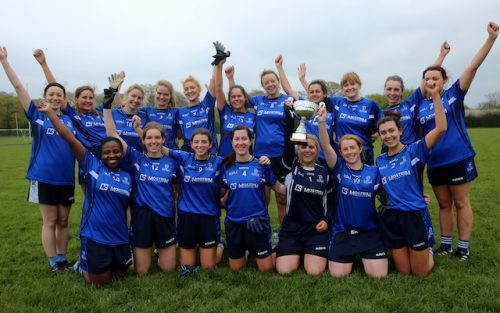 Dulwich Harps: Tara Kilcoyne; Carol O’Connor, Sinead Darcy, Catherine Keville; Emma Bolger, Helen McGurrin, Pheobe Bullman; Ciara Doyle (0-2), Clare Kennedy; Maeve Wylie (0-3), Diane O’Brien (0-1f), Aine Martin; Eimear Dillon (0-1), Doyinsola Ishmola, Shannon Yelbasi (0-1). Subs: Lucy McMahon for Yelbasi. 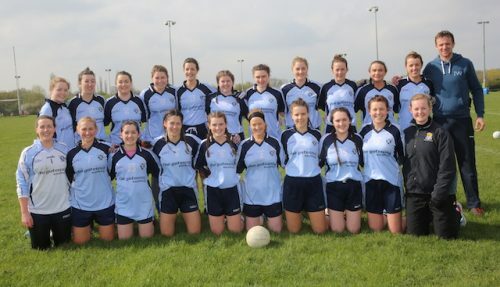 St Anthonys: Leah Wilson; Lisa Lynskey, Clara Caravan, Victoria Gillen; Mary Curran, Katie O’Brien (0-1), Lauren Foster; Anette Thomas, Niamh Brandon, Kieran Maher, Edel McManus (0-4, 2f); Isabel Delaney (0-2); Alison Gaynor, Sarah Cowan, Edel McGovern. Subs: Sarah Flynn for Gaynor, Aisling Sheehan for McGovern.